It’s make-believe time!! One of the few times we include non-dino animals in our site! 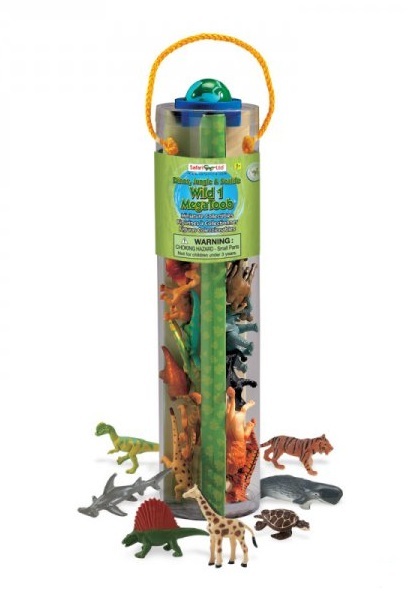 This tube has dinosaurs, but it also has jungle creatures (lions, tigers, giraffes, etc.) and sealife (whales, sharks, turtles, etc.). All in one big happy group! Tags: toob, tube, wild world.